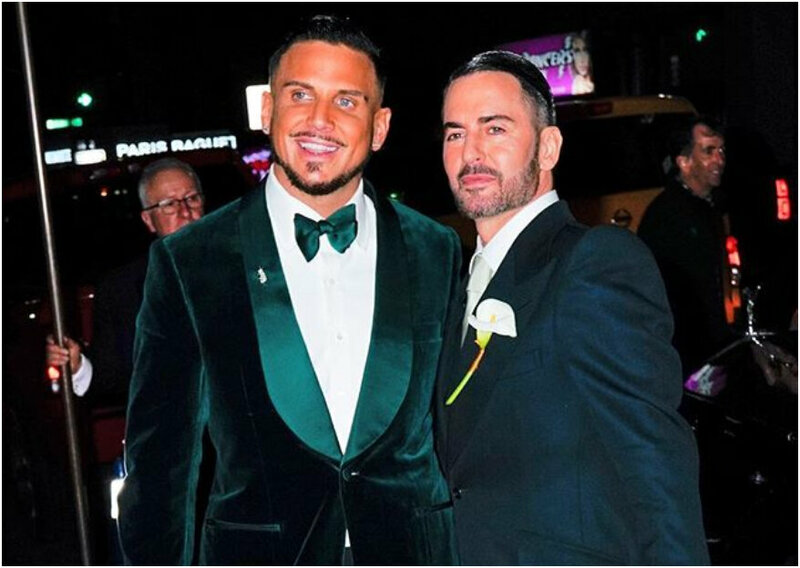 New York was in awe this weekend as the North American designer Marc Jacobs married exmodel, and now businessman, Charlie Defrancesco. The pair, who got engaged one year ago, and have been dating for three, decided to unite their vows in front of a superstar audience. The wedding of the 55 year-old designer happened this Saturday, April 6, was preceded by some photos on his Instagram account @themarcjacobs, where he unveiled the detailed of his outfit. It took place at the well-known Manhattan Grill restaurant, where the grooms arrived in a classic Rolls-Royce. 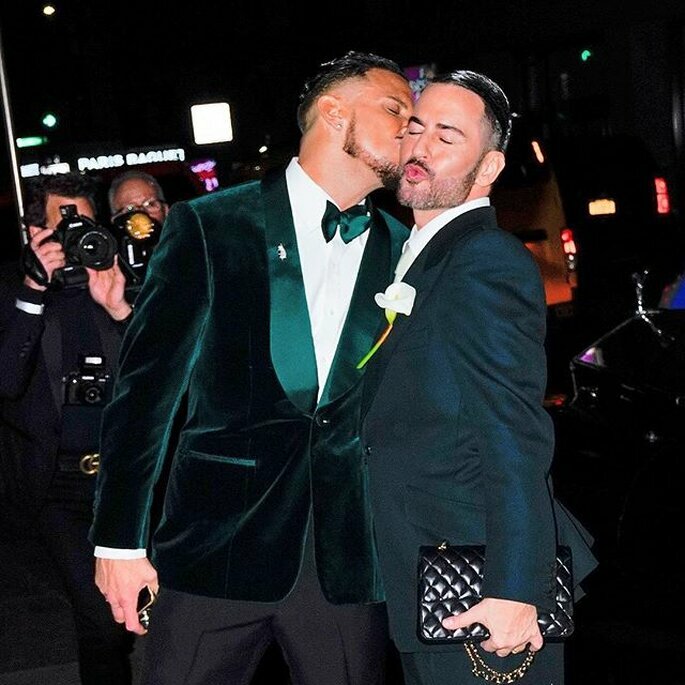 Jacobs’ black Chanel bag stood out from the grooms’ outfits, along with a pin with a penguin design at the waist, with diamonds and onyx, a wedding gift from Fabio Zambernardi, creative director of Prada and Miu Miu. Being an undoubtedly fashion wedding, the list of guests was comprised from some of the most recognised models, actresses and singers, among them sisters, Gigi and Bella Hadid, Kaia Gerber, Emily Ratajkowski. Anna Wintour, Rita Ora, Cristina Ricci, Bette Midler, Justin Theroux and Mya were also among the most prominent guests. And also, being a renowned designer for decades, the presence of the most iconic top models of this century was undeniable; Naomi Campbell, Kate Moss, Amber Valletta and Christy Turlington attended. And thanks to many of the guests who uploaded images and stories on their social networks, it was possible for the world to see more details about this wedding, in which the latest occassionwear captured the lens of the paparazzi. As for the details, the couple knew how to show off in their field: fashion and style. A white sweatshirt with a pattern of two beavers embroidered on the chest, was given to each of the guests with a thank you note to accompany them and make this night extraordinary. The first four months of 2019 are not over yet, and the wedding bells are still ringing in the entertainment world. We continue to pay attention to the latest wedding news… This year stars such as Jennifer López will be walking down the aisle… stay tuned!